Pre op, post op videos and pictures. I am unable to post videos of >8MB, even though the upload software says it can load upyo 25 MB. Is there something I can do to remedy it or is it at your end? Its just 5 months since his HT. We expect further improvement over the next 7 to 8 months. Nonetheless, Sunil is happy positive about his results. » it can load upyo 25 MB. » Is there something I can do to remedy it or is it at your end? Yes, there is a problem with larger files. Can you email me the videos so that I can upload for you? I tried to download the videos on your blog but it wouldn’t let me download. one question: were you in a position to harvest those +5grand grafts from one strip only? Here we go again, another strip. 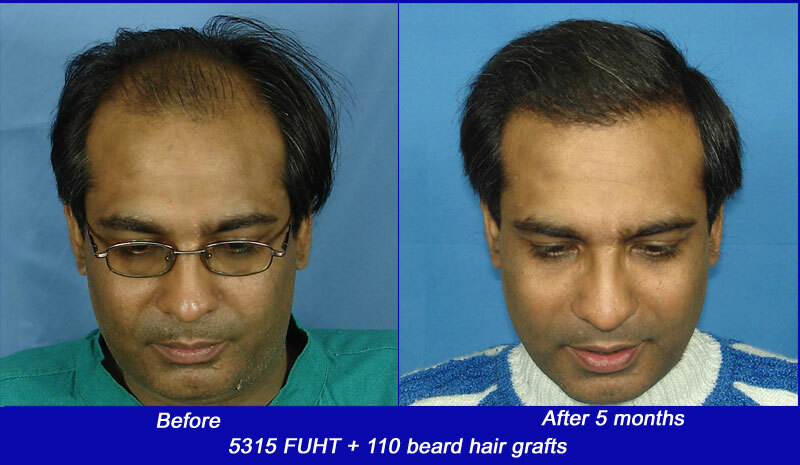 Is Dr. Arvind giving up on FUE and BHT? » amazing transformation, perfect job! Yes, the patient had good laxity and donor density. Good job with the video, very clear. It would be nice if next time you can show the donor scar too. » show the donor scar too. See the first video loaded at the link below. The second half of the video shows the donor area with hair brush running through it.